Orthodontists - Want to Join us? Wear Invisalign's invisible braces and no-one will know you're having treatment. 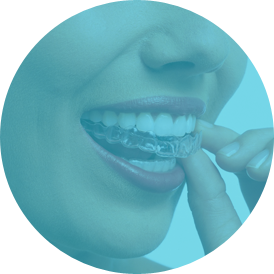 Find out how Invisalign's innovative invisible braces are changing the face of orthodontics. Invisible orthodontic treatment for teens? Invisalign has thought of that with Invisalign Teen. Discover how quickly Invisalign can straighten your teeth with Invisalign Lite and Invisalign i7. Get the answers to some of the most frequently asked questions we get about Invisalign. Not ready to book an appointment yet? What a fantastic place to go!!! The ladies at Pure go above and beyond to make your experience a great one. Really pleased with the outcome of my teeth and feel now I have my confidence back. Book a Free Consultation Find your nearest invisible Orthodontist Want to Join Our Network?